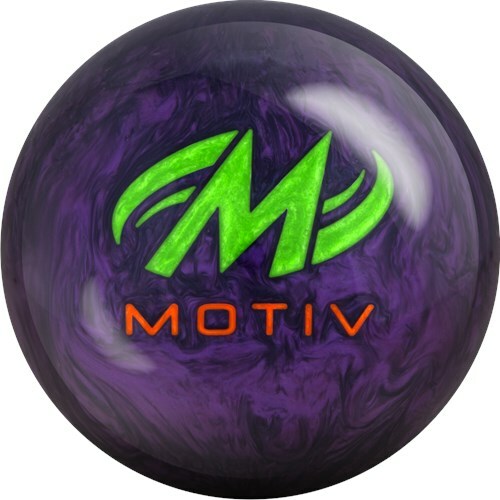 The much anticipated Motiv Venom Shock Pearl (VSP) is here! 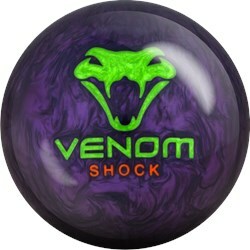 This ball is the perfect compliment to the original, ever popular solid Venom Shock bowling ball. The VSP uses the Hexion cover and a dual density weight block called Top Gear. The Top Gear core gives this bowling ball a low RG and low differential comparable to the original version of the ball, but the dual density core produces a more angular backend reaction. The Hexion MFP (Medium Friction Pearl) Reactive cover offers good length and a quick response to friction and is finished with a 5500 grit LSP finish. This ball is great for rev dominant bowlers or just anyone looking for a compliment to their original Venom Shock bowling ball for when the lanes break down. Similar Balls: Same Hook Potential, Lane Conditions & Coverstock as the Motiv Venom Shock Pearl. First time out of the box, shot 288-269-187=744. Last game all me. Picked mine up Sunday. This ball is awesome. The ball didn't go as long as I expected, but has great continuation. First set out of the box, 279 266 259 for an 804 set. The new Venom Shock Pearl compliments that Original Venom Shock perfectly! The proven Hexion cover was put on this ball while staying with the original gear core. This combination is awesome! I drilled mine 60 x 4.5 x 70 with a light 1000 abralon grit on the surface. Even with the 1000 surface, this ball is still very clean through the front part of the lane and I never had to deal with the ball grabbing too early as the lanes transitioned. Compared to the original venom shock, the pearl is much cleaner through the front part of the lane but still has that great continuation the Original Shock is known for. The best part of this ball is how low the pins stay when the ball enters the pocket. 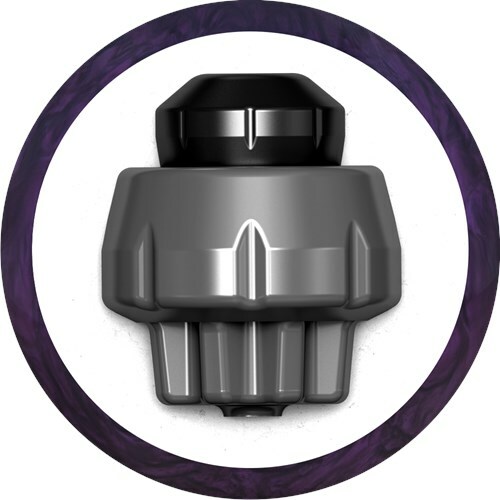 This feature maximizes carry and this ball certainly doesn't disappoint! I like the versatility of this ball. I changed cover stock a couple different times. First was 1500 with a little polish. (Not bad) Next was straight up 2000, no polish and it has worked well also. May try 3000 and move a little right to play down the boards, with plenty of backend. Still a very nice addition to an arsenal. To start with this ball on fresh oil it is not bad. But as lanes break down it is awesome , clean through beat up heads and plenty of break on backend. VSP More of light oil ball. As a bowler who is rev dominate and prefers pearls the OOB finish has very little boards of hook needed to hit that sucker with some grit and it performed like a champ. Yes, this is the only color that we offer for this ball. The biggest difference is the coverstock and the finish. The Pearl is going to hook later on the lanes with a sharper backend hook while the original Venom Shock was going to read a little earlier on the lane for a smoother hook. How does this ball compare to the Hy-road pearl? Looks like the difference between these two would be the lane conditions. The Venom Shock Pearl works best on light-medium oil conditions and the Hy Road Pearl will only be for Medium oil conditions. The Venom Cobra will be stronger since it is has a hybrid coverstock. Is this a good beginner ball? If you are looking for a beginner ball, you can take a look at the Brunswick Rhinos, those are great beginner balls. It would just be your preference, if you prefer a pearl ball over a solid ball. Looking for a ball to replace the storm street fighter. Is this the one ?? Due to the time it takes to produce the Motiv Venom Shock Pearl ball it will ship in immediately. We cannot ship this ball outside the United States.